Chinese electronics manufacturers, if they buy the products of the right brand, are actively pleasing buyers with regular software updates that improve battery life and performance, and, in addition, provide significant security improvements. Launched in 2018, the MIUI 10 firmware for Xiaomi products brought with it not only all of this, but also some other features, namely the new user interface, updated multitasking menu and a number of other innovations. This operating system for Xiaomi mobile devices greatly improves the look of the entire interface, making it more intuitive, simple and understandable, and, moreover, minimalistic as much as possible at present. In addition, the MIUI 10 supports a number of AIs when working with the camera, which can even significantly improve the quality of the photos, and this is a big plus. Most of the modern branded phones have received these programs back in the second half of 2019, but to some models it has only been achieved now. 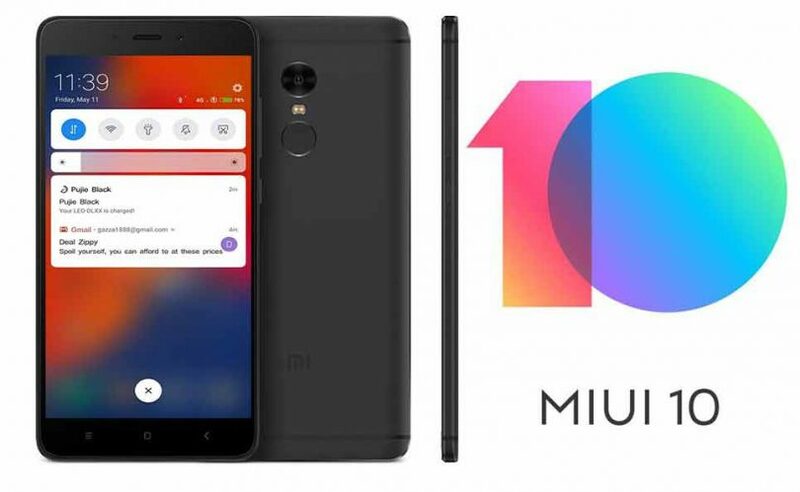 February 11, 2019, it was found that the firmware MIUI 10 came out for more than 46 models of Xiaomi smartphones, ranging from very budget and ending up with such huge costs. The applet in the person of this operating system can be installed literally on all models released over the past three years. At the same time, they can be based on different Android collections, but no earlier than 6.0 Marshmallow. Updates to all phones on the list can be installed “by air”, that is, you do not need to use a computer for this. It is reported that MIUI 10 is available on Redmi 6 Pro, Redmi 6, Redmi 6A, Redmi S2, Redmi 5, Redmi Note 6 Pro, Redmi Note 7, Redmi Note 5, Redmi Note 5A, Redmi Note 4X (Qualcomm), Redmi Note 4 (MediaTek), Redmi 5 Plus, Redmi 5A, Redmi 4A, Redmi 4X, Redmi 4, Redmi Pro, Mi 5s, Mi 5s Plus, Mi Max, Mi Max 2, Mi 8 Pro, Mi 8, Mi 8 Explorer Edition, Mi 8 SE, Mi 8 Lite, Mi MIX 3, Mi MIX 2S, Mi MiX 2, Mi MiX, Mi Max 3, Mi 6, Mi 6 Plus, Mi 6X, Mi Note 2 and Mi 5. Also, the latest software has been updated phones , released under the “affiliated” brands, and on the list include Black Shark, Black Shark Halo and Pocophone F1.